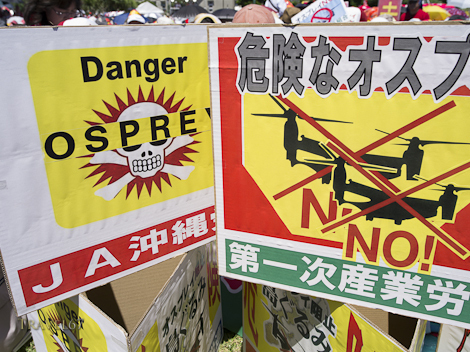 12 US Marine Corps MV-22 Osprey helicopters are scheduled to be based on Marine Corps Air Station Futenma in central Okinawa. 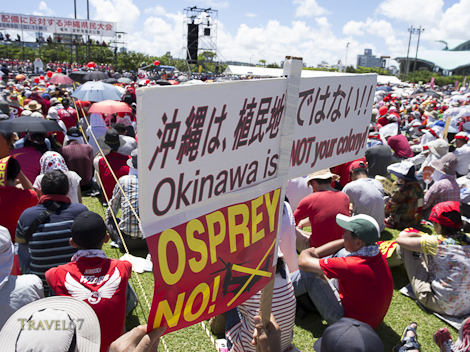 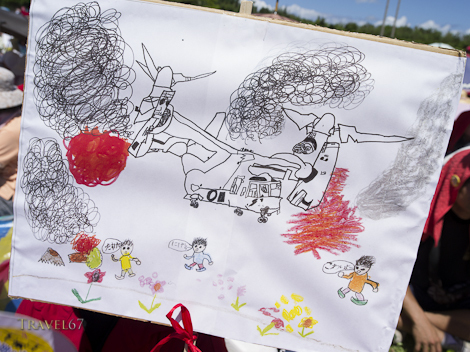 Today Okinawans, and some mainlanders, protested against their arrival citing the poor safety record of the Osprey and the location of Futenma in a residential area. 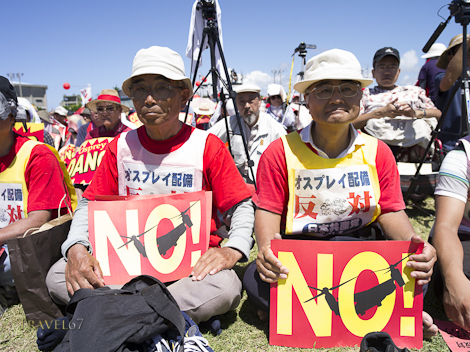 Thank you very much for your photos of the protest meeting. 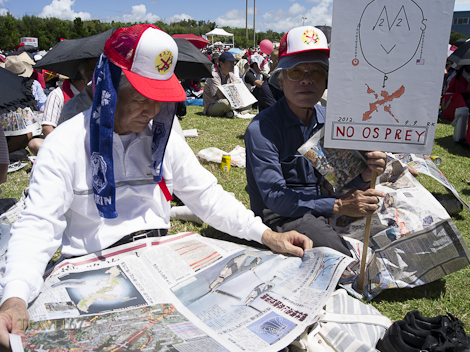 life of Okinawan people and the soliders.